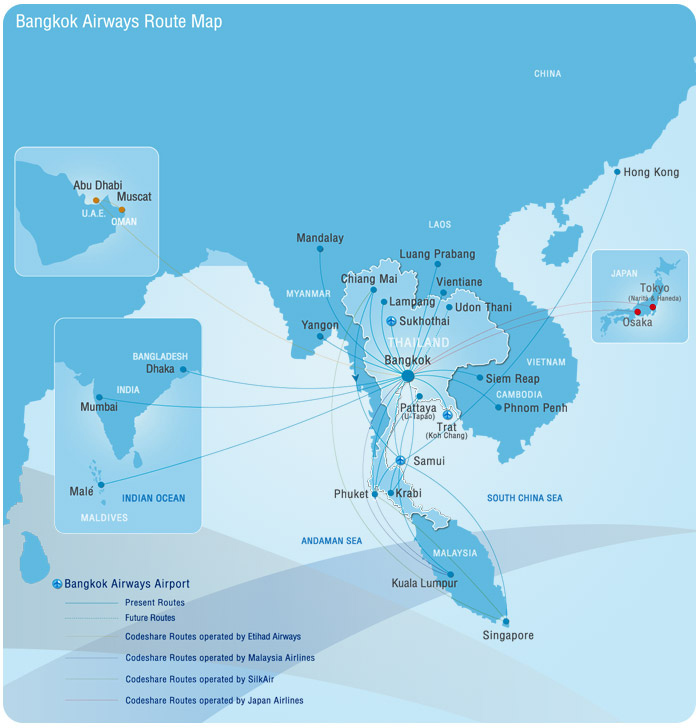 Bangkok Airways Public Company Limited (,) is a regional airline based in Bangkok, Thailand. It operates scheduled services to destinations in Thailand, Cambodia, China, Hong Kong, India, Laos, Malaysia, Maldives, Myanmar, Singapore, and Vietnam. Its main base is Suvarnabhumi Airport.